» Super Strong Eyelets and Grommets. 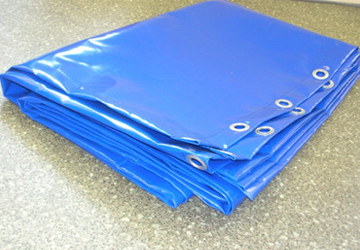 » High quality use of PVC ensures extremely long life of PVC Tarpaulin. » Excellent Tensile Strength, flexible, suitable to sustain torrent climatic conditions and has high tear strength. » Strong heat-sealed joints. UV Resistant material. 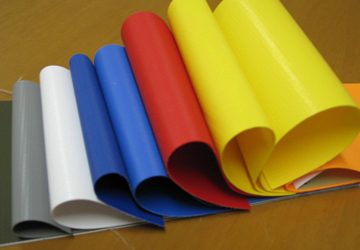 » Colours of PVC tarpaulins can be customised as per customer requirements. 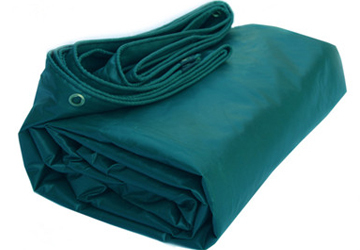 » PVC Material is widely used as awnings, truck tarpaulins, tents and banners. » PVC is also used as an adumbral material for building facilities and houses. » It is used extensively in international sporting arenas such as golf parks and baseball stadiums and also used as pitch covers in Tennis and Cricket grounds.